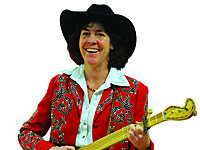 The Fourth Annual Big Horn Basin Folk Festival is coming up soon. The festival is part of the Gift of the Waters Pageant Days week-end, Saturday and Sunday, August 4 and 5, 2018, in Hot Springs State Park, Thermopolis, Wyoming. 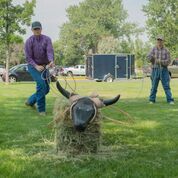 The festival program includes a robust line-up of activities for the whole family, along with Wyoming’s own artists, craftsmen, musicians, storytellers, artisan and guild members’ demonstrations. “There will be a variety of art and music activities for kids and the whole family to choose from on both days”, according to Festival Committee head Toddi Darlington. “You can pick up a schedule at the festival and find exact times and locations”. 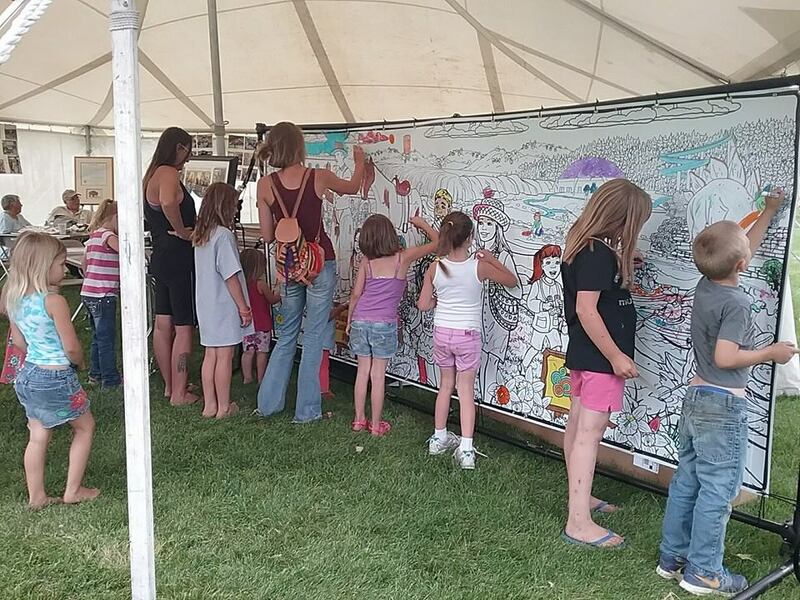 Activities on Saturday include Sun Fabric art and owl rock painting in the Kids Being Creative Activity Tent plus the Color Thermopolis Mural, roping, and a singalong with V, the Gypsy Cowbelle with handmade instruments on The Green. The Buffalo Steel Drum band will be playing too. Ghost Stories at The Pavilion start around 7:30pm, after the Pageant. On Sunday, there will be additional activities in the Kids Being Creative Activity Tent, including Sallie Wesaw and Friends with hands-on iris basket making — plus there will be demonstrations and storytelling on both days around the festival that will be for the whole family to enjoy. Food will be available both days. The festival is part of the Gift of the Waters Pageant Days weekend. The Pageant tells how the hot springs were transferred to the state by the Native Americans on the Wind River Reservation. It will be performed starting at 6 pm in the area around the Big Spring Saturday and Sunday evening, and is free and open to the public. T-Shirts for both the Folk Festival and the Pageant are available to buy in advance at Thermopolis Print Zone/Discover Thermopolis, 521 Broadway. The Big Horn Basin Folk Festival is open to the public without charge. It is sponsored by Hot Springs Greater Learning Foundation, Kiwanis International and Hot Springs State Park with support from National Endowment of the Arts, Wyoming Arts Council, IMtour, Wyoming Independent Music Initiative and Hot Springs Travel & Tourism. Additional support is from Hot Springs County Education Endowment, Las Fuentes, Thrivent Financial and Pinnacle Bank. Contact bighornbasinfolkfestival@gmail.com for more details.